The area (about 380 ha) is situated at the Southern slopes of Voghchaberd Mountain Ridge at about 20 km from the capital Yerevan. The elevation range occupied by the area is from 1680 to 2090 m above sea level, with an average steepness of slopes about 5˚ to 15˚. At the lower part the area is represented by arid steppe zone while at the higher altitude the habitat becomes changed into meadows. Among dominant vegetation various grasses (such as Stipa sp., Poa sp., and Festuca sp. 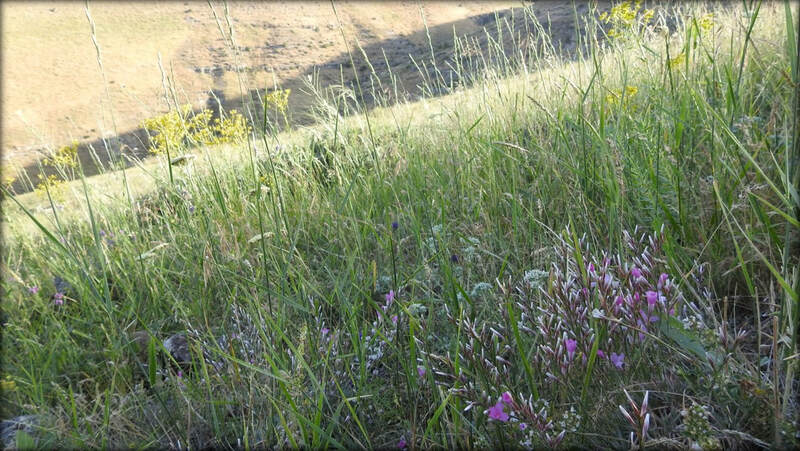 ), and other herbs and bushes (Astragallus sp., Onobrychis sp., Rosa sp.) should be mentioned. Carcharodus orientalis, Papilio alexanor, Colias aurorina, Tomares romanovi, Pseudophilotes vicrama, Ultraaricia anteros, Polyommatus diana, Polyommatus eriwanensis, Polyommatus huberti, Polyommatus ninae, Polyommatus iphigenia, Proterebia afra, Pseudochazara schahrudensis, Chazara briseis, Argynnis aglaja, Euphydryas aurinia. 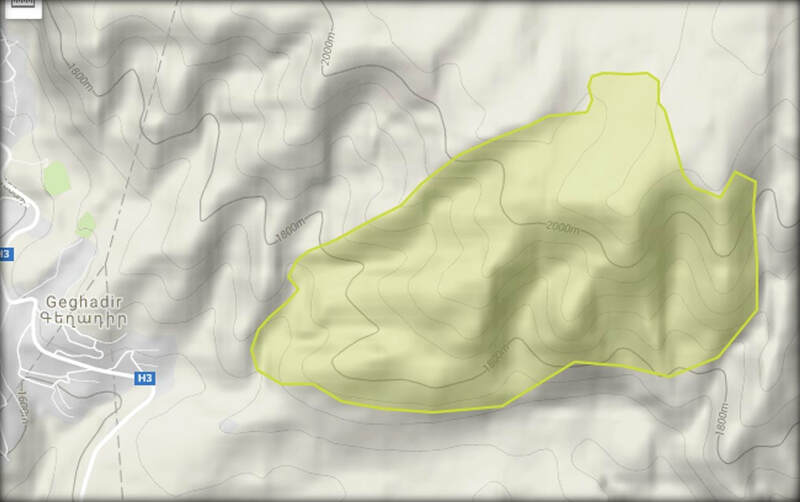 The area is not covered by any of Protected Areas or Emerald Sites. There is a nomadic grazing in the area, which already causes grassland degradation in some parts of the PBA. 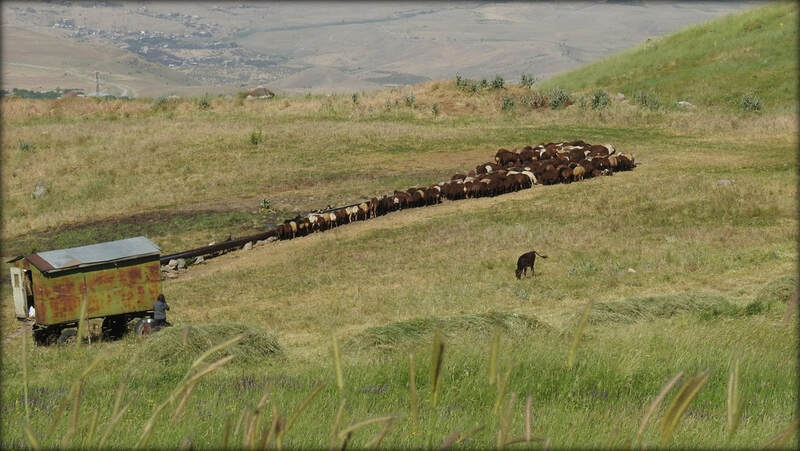 Close proximity of the PBA to the village Geghadir, and existence of appropriate infrastructure (mobile houses and watering place) at the upper part of the gorge makes the livestock grazing in the area rather easy. In the same time the site is used for hey-making. 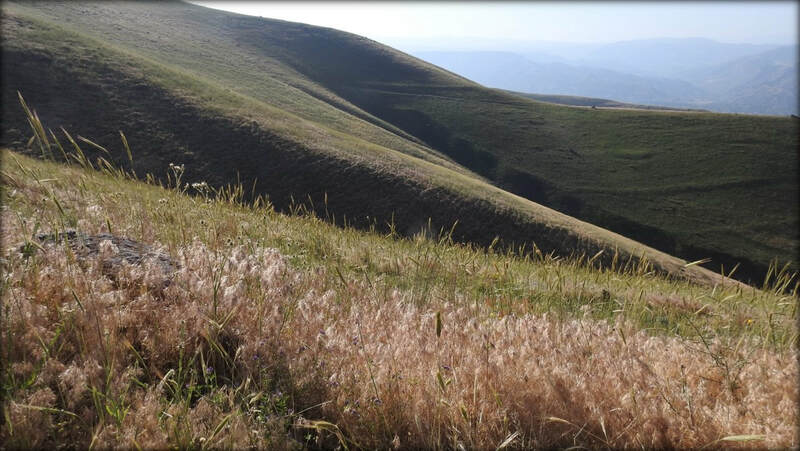 The removal of host-plants of priority species, degradation of the top-soil layer by the feet of livestock, and uncontrolled mowing are the threats, which influence number of species in the area. Among others, it is important to mention Polyommatus diana, which is assessed for the Red Book of Animals of Armenia as Endangered, and, being an endemic of Transcaucasia is a candidate for Global assessment. The species is monophagous and has a very restricted distribution range as within the current PBA, as in Armenia. Degradation of the meadow-type habitat can cause irreversible consequences for the species. To protect the species diversity of Geghadir PBA, it is necessary to: (1) include the area into existing Emerald Network and develop management plan for it; (2) to award it with a national conservation status. e.g. sanctuary; (3) to design and introduce a site-specific, habitat friendly grazing and mowing plan; (4) to develop butterfly-watching in the area, thus bringing the end users of the agro production directly to the farmers, which can help in increasing of profit from the area unit, and therefore in decreasing the load on the grasslands.